Hope Corlew LMT, attended the Center For Natural Wellness (CNWSMT) in the fall of 2009 where she completed over 1000 hours of training. 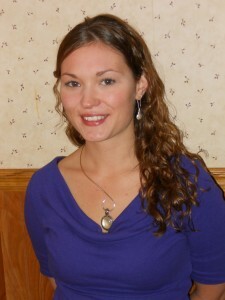 Hope is trained in relaxation, Swedish, sports , deep tissue massage and reflexology. Hope believes in the importance of the mind-body connection and uses massage to balance physical and mental well-being and to bring self awareness. Hope enjoys reading, writing, snowboarding, as well as hiking and swimming in the summer with her dog Knox.